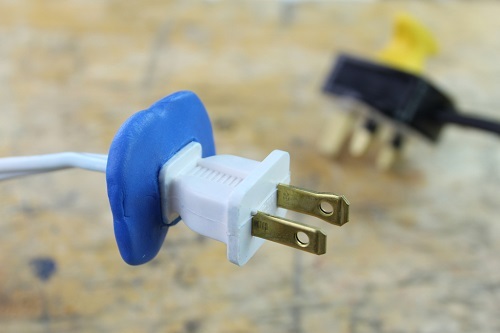 Cut open and mix your 2 minipacks of sugru together. 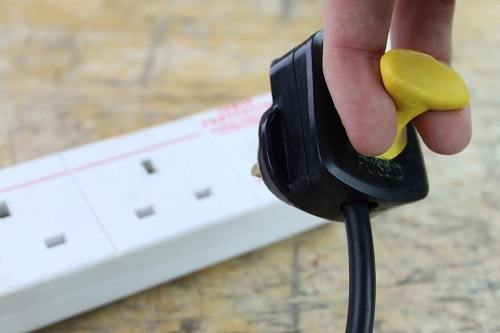 Press the 10g of sugru onto the casing of your plug, making sure it is stuck down on all sides for great adhesion! 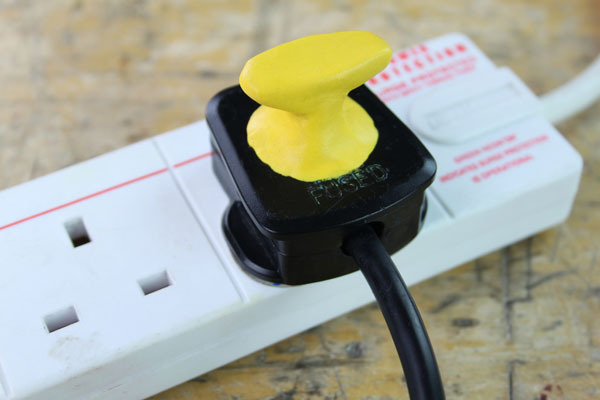 Extrude the blob to make it taller by pinching the sugru. It should be around 1.5 cm tall and the width should be roughly the size of your thumbnail. 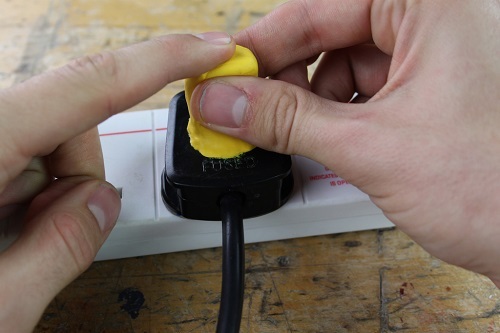 Pinching just below the top of the sugru ‘stalk’, press down on the top to make the top flat. 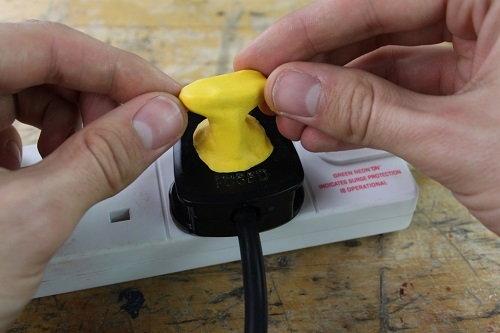 Press and pinch the top, sculpting the sugru so that it makes a T shape. The ‘arms’ of the T should be about half the width of your finger and the height of the stalk can be shortened by pressing down the stalk so that it doesn’t sag and flop to one side. Leave to cure for 24 hours. You may have to check back on it, to make sure it isn’t flopping over – if it is, shorten and correct the stalk so that it stands upright. 24 hours later and the sugru has cured! 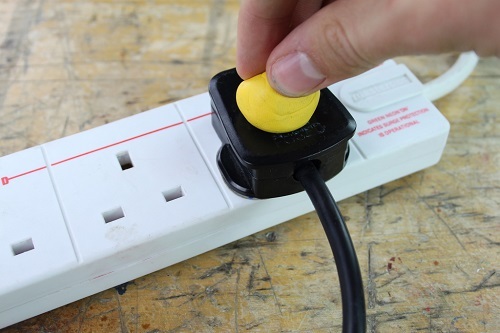 This should make it a lot easier for you to pull out those difficult plugs and even help you identify which plug is which! 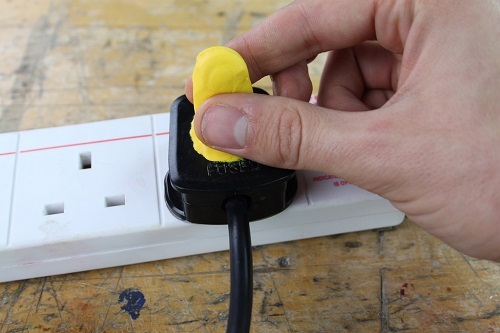 It works with smaller plugs, too. There’s no reason to fuss with hard-to-grip plugs when you can make your own customized grips that are designed to fit your fingers.